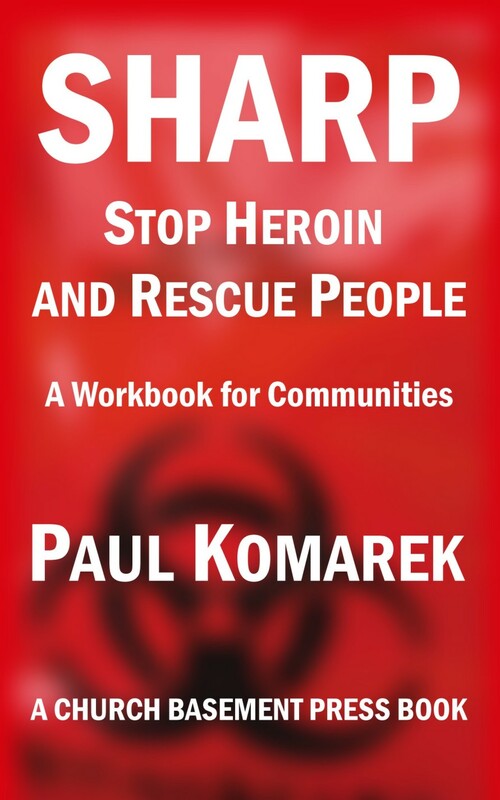 The newest Church Basement Press book is SHARP: Stop Heroin and Rescue People. Like my first book Defying Mental Illness, it is available in print and Kindle on Amazon, and in every other ebook format. People are telling me that this new book will save lives. I have been working with community groups across the Ohio River in Northern Kentucky this past year and a half. I have been struck by how poorly served people are. I am appalled by the connection between disconnected and indifferent treatment systems and opiate poisoning deaths. I do know what effective systems look like. I served as executive director for a local outpatient addiction treatment center. I do mental health and addiction accreditation and licensing work. I am familiar with the whole range of mutual support programs. My father could never stop drinking. AA never helped him, and he died from alcoholic dementia a few years back. I have had a mental health recovery myself, and worked on improving outcomes for people with co-occurring disorders at a systems level with local officials and treatment system CEOs a decade ago. We couldn’t solve the whole problem – no wonder families with heroin issues can’t solve these issues today. People who use heroin are traumatized. They become (if they were not at the start of drug use) the “dually diagnosed” – indifferent to their fate, and primed for suicide. They need rescue, not shunning. They are stunned and shaky, and have consequences piling up around them, and have cheap relief in the syringe in their hand. Unfortunately, our public systems are not addressing this level of risk. Appointments in the future and punishment systems just add to desperation. SHARP Stop Heroin and Rescue People is the first coherent response to heroin. It addresses heroin addiction as an epidemic. 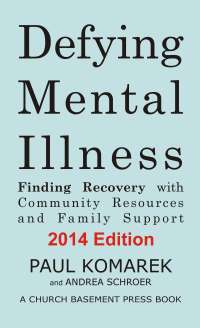 My approach is “systematic rescue,” – all the tools of the medical system, plus social support. An eight-step process manages the population’s risk and takes the person through recovery. The role of communities is to align with the medical system and produce an infrastructure supporting each step. At least then there is a certain path to addressing fatal risk, one that gets people safely through treatment to sober living and long term recovery. The book is available now in print and kindle versions on Amazon. If you are an ebook person with a Nook or Apple or Kobo or tablet e-reader, you can download a copy at Smashwords. My community planning platform around heroin recovery is also on the SHARP Stop Heroin website http://www.SharpStopHeroin.com. The SHARP approach is positive, delivering recovery while systematically addressing risk. This is a public policy and personal recovery framework, not some prayer. We are starting to use this tool to do community work around local recovery infrastructures. We have been confronting Kentucky officials over choices they have made around medication assisted treatment and Medicaid, because without medication assisted treatment the infrastructure in communities is incomplete. When people can visualize a complete system, it is possible to address accountability. I am looking for people who would like to apply this framework in their own communities. Please contact me via email -- komarek(at)humanintervention.net.